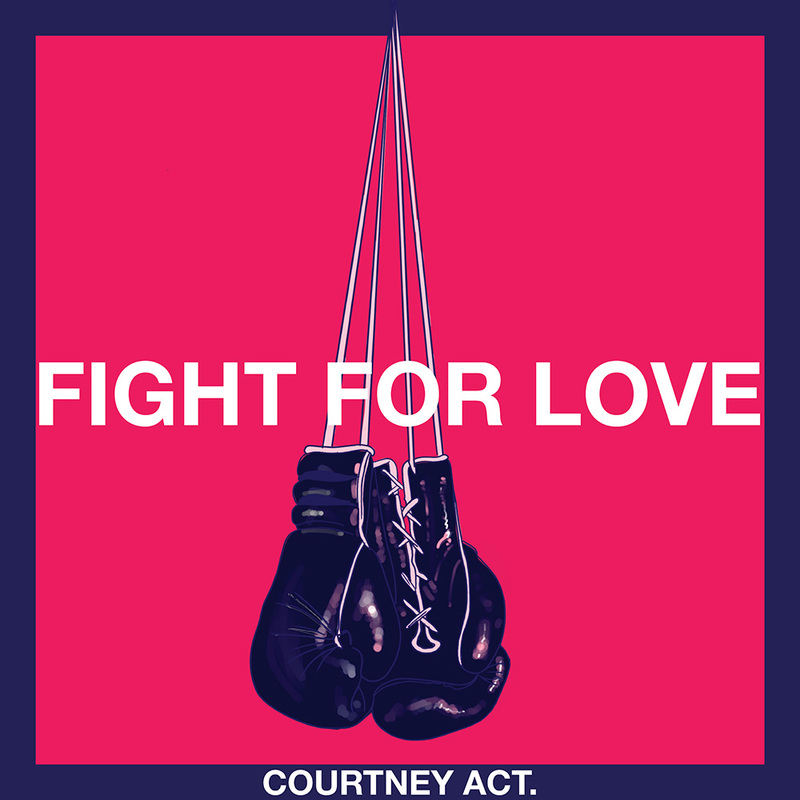 Courtney’s new single Fight For Love is available to purchase now on iTunes and stream on Spotify. Courtney will compete with Fight For Love on SBS’ ‘Eurovision – Australia Decides’ on Saturday 9 February 2019. Courtney has been under the covers with many, but not usually in front of a live audience. It’s time to get tucked in with all your favourite songs that have been covered in one way or another by all your favourite artists. Lay back and enjoy the caress of those romantic satin sheets as she strips some songs down and flips others on their back to show you just how gender fluid and genre fluid a great song can be! The sweet dreams Courtney spins will leave you pillow fighting and pillow biting. May 12-19, 2019 – Underbelly Festival Southbank – London ………………………………………………………………………………………. Under The Covers Will be touring all around the world, so pop your details into this form and will let you know when the show is coming to a city near you! Get cozy with Courtney Under the Covers at home! 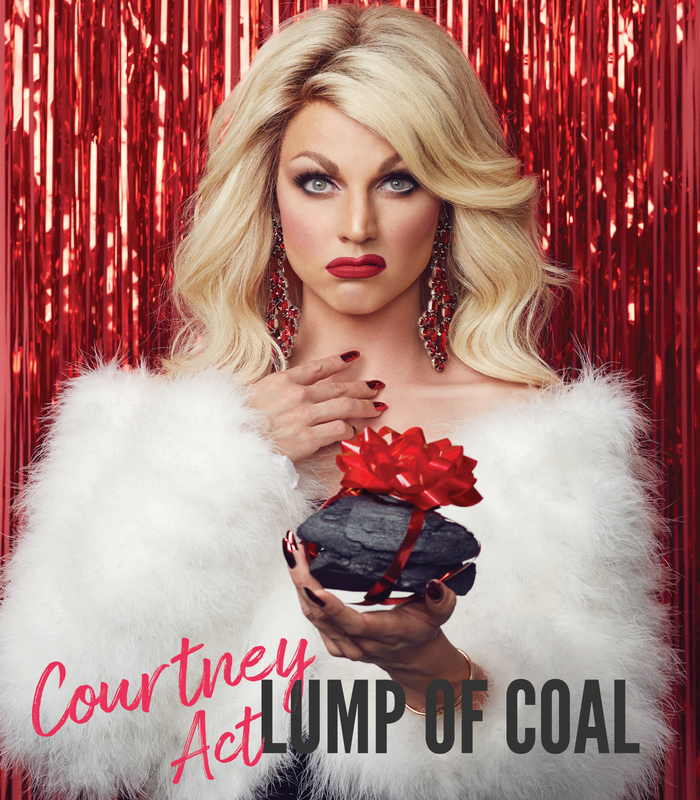 Santa has put Courtney Act in charge of the naughty or nice list and she will be personally delivering your Lump Of Coal! That’s right, kiddies, thanks to global warming it’ll be an Alt-Right White Christmas, the elves have stopped building toys until they know if they’re being deported, and Kim Jong Un’s cover of “Rocket Man” is all anyone can talk about. This nuclear winter, join Courtney Act for an hour of the most glamorous group therapy and sneak a kiss under the missile silo as she takes on the harsh hilarities of the holiday season! Nov 26 – Los Angeles, CA – Rockwell: Table & Stage ………………………………………………………………………………………. Nov 29-30 – San Diego, CA – Martinis Above Fourth ………………………………………………………………………………………. Dec 9, 2017 – New Orleans, LA – Cafe Istanbul ………………………………………………………………………………………. Dec 10, 2017 – Minneapolis, MN – Lumber Exchange Event Center ………………………………………………………………………………………. Dec 12, 2017 – Toronto, ON – Buddies in Bad Times Theatre ………………………………………………………………………………………. Dec 14, 2017 – Montreal, QC – Cabaret Mado ………………………………………………………………………………………. Dec 15-17, 2017 – NYC, NY – Spin Cycle ………………………………………………………………………………………. Dec 19-20, 2017 – San Francisco, CA – Oasis ………………………………………………………………………………………. 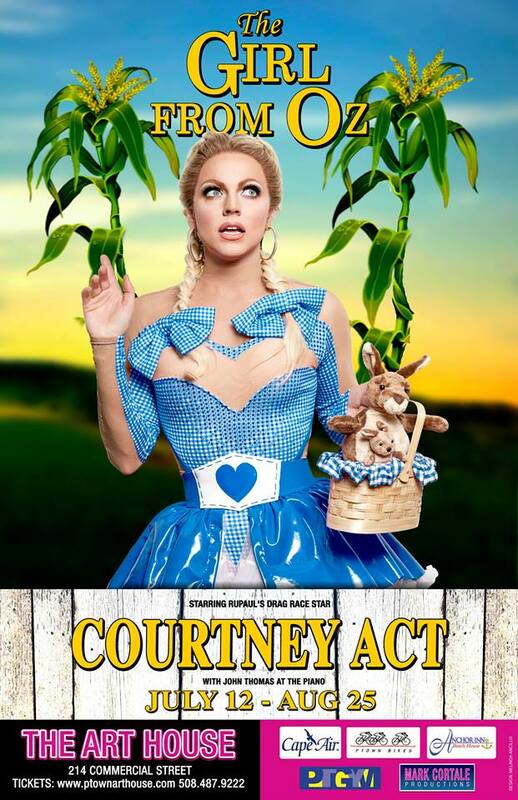 Courtney Act takes you over the rainbow and down under in her new show: The Girl from OZ! Chock full of hits and high notes, you will leave this show realizing there’s no place like her home! Aug 9-11, 2017 – London – UnderBelly Festival ………………………………………………………………………………………. Aug 13-26, 2017 – Edinburgh Fringe – Circus Hub ………………………………………………………………………………………. February 15-19, 2017 – Perth, WA – Salon Perdu Spiegeltent ………………………………………………………………………………………. June 16-18, 2017 – Adelaide, SA – Adelaide Cabaret Festival ………………………………………………………………………………………. February 24, 2017 – Auckland – Q Theatre ………………………………………………………………………………………. March 16, 2017 – San Diego, CA – Martinis Above Fourth ………………………………………………………………………………………. March 27-28, 2017 – Los Angeles, CA – Rockwell: Table & Stage ………………………………………………………………………………………. May 3, 2017 – Montreal, QC – Cabaret Mado ………………………………………………………………………………………. May 4-7, 2017 – NYC, NY – Laurie Beechman Theater ………………………………………………………………………………………. May 11-12, 2017 – San Francisco, CA – Oasis ………………………………………………………………………………………. May 19, 2017 – New Orleans, LA – Cafe Istanbul ………………………………………………………………………………………. May 24, 2017 – London – The Hippodrome ………………………………………………………………………………………. May 25-26, 2017 – Birmingham – Pizza Express ………………………………………………………………………………………. May 28, 2017 – Manchester – The Ritz ………………………………………………………………………………………. May 31, 2017 – Brighton Fringe – Marlborough Theater ………………………………………………………………………………………. June 1-2, 2017 – Brighton Fringe – Marlborough Theater ………………………………………………………………………………………. 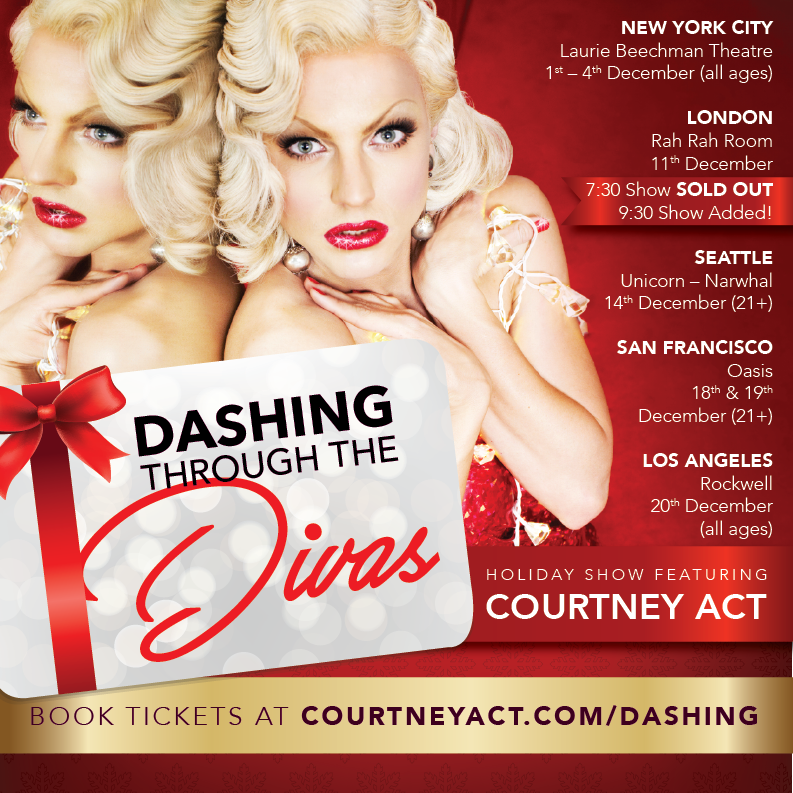 I’m going to spreading some Holiday magic in December with my new show Dashing Through The Divas! FIRST. MOM. GOALS. I’M COMING TO BRAZIL… NEXT WEEK! I actually can’t wait to finally come and meet you! I have always had an affinity with Brazilians AND my middle name is Gilberto, which I am pretty sure is Portuguese, so yeah. My sisters have told me many stories and I can’t wait! 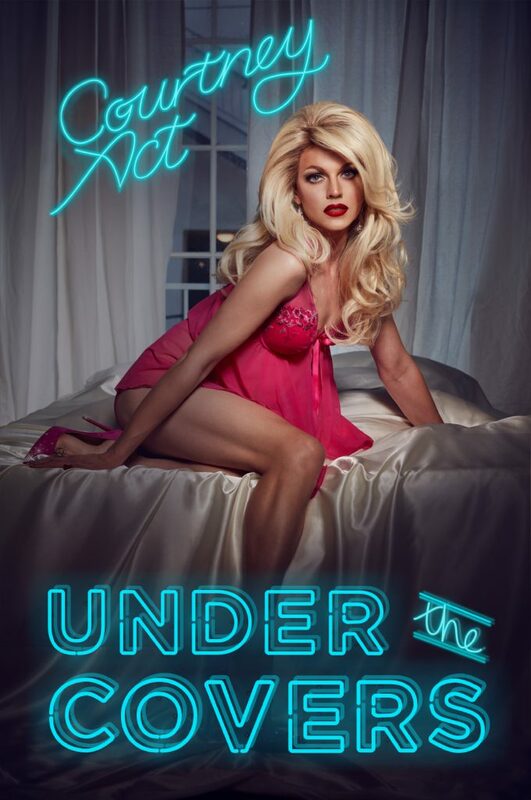 Courtney Act, the Australian you’re tolerating slightly more than Iggy Azalea, takes you over the rainbow and down under in her new show: The Girl from OZ! Chock full of hits and high notes this show will leave realizing there’s no place like her home! My brand new show The Girl From Oz is opening this summer at the Provincetown Art House Theatre – Tuesday, Wednesday & Thursday nights at 7:30pm. My fourth video from the Kaleidoscope EP is the title track! 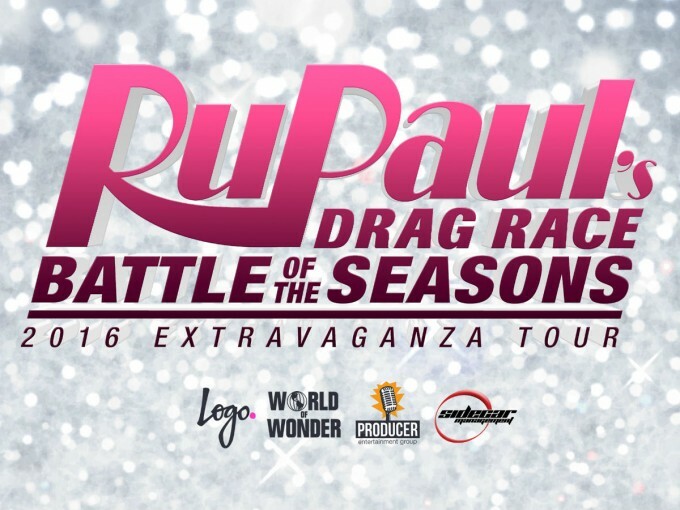 And I am excited that it is also the official theme song of the Sydney Gay & Lesbian Mardi Gras 2016! I loved coming up with the concept for this video. I wanted to tell a story about a different facet of the Kaleidoscope. I feel that gender and sexuality are fluid and so often we get stuck in the rigidity. Who knows when someone outside your usual target zone might come also and sweep you off your feet? Including Acoustic version, Jodie Harsh Remix, Dirty Pop Remix & Tanner Derby Remix. I missed out on doing BOTS last year cause Bianca called the INS on me, but fear not for 2016 my papers are in order and I’m ready to tour the world with my sisters!